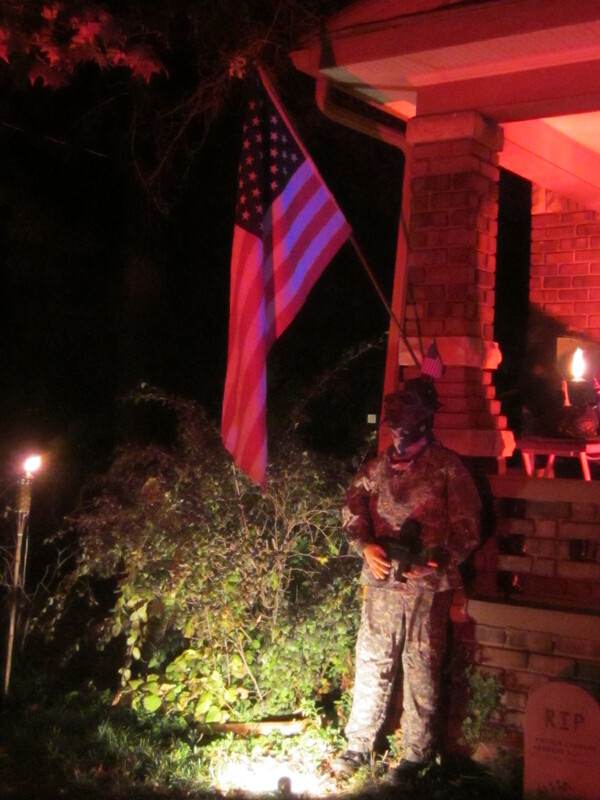 Here’s a brief overview of how things looked during the Halloween festivities that my kids orchestrated last night . 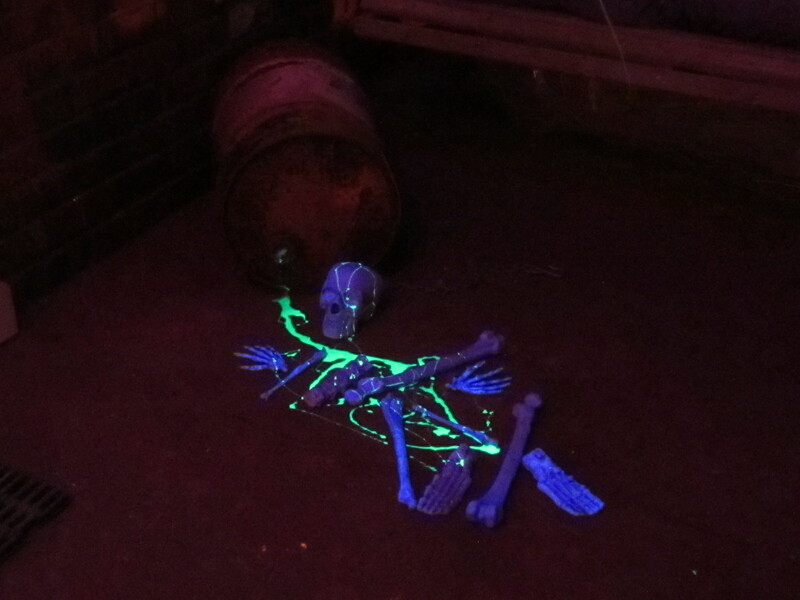 I was working until late, so I didn’t get to see many of the visitors, but everyone seemed impressed, and a few kids were genuinely terrified. Gate at the entrance to the yard. 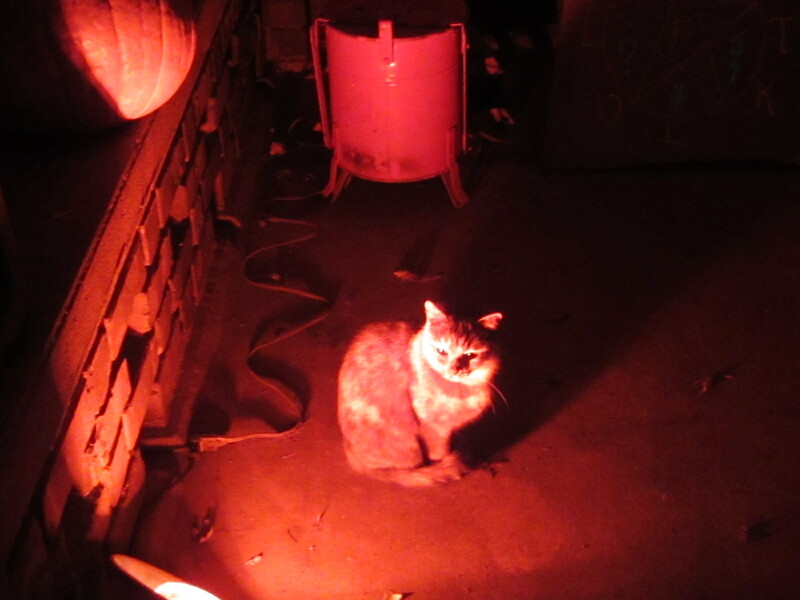 There were 17 torches lit, some red lamps on the ground, and some ultraviolet lights on the porch. I wish I could have seen it all! 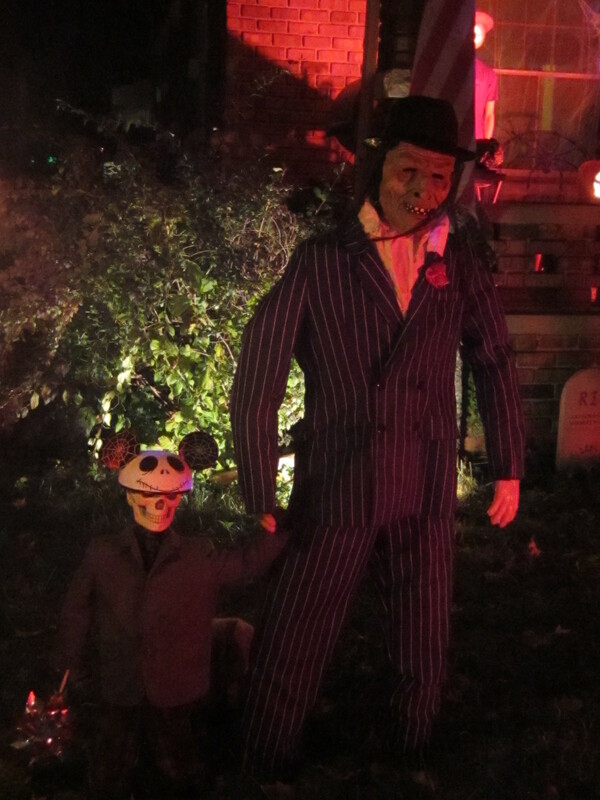 There were 150 trick-or-treaters! Double the number from last year. 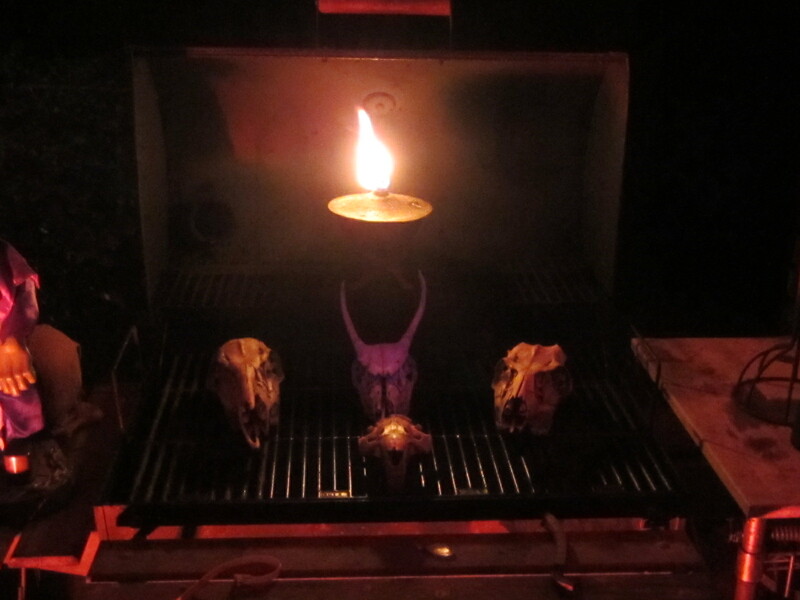 Some (real) animal skulls decorate the grill. This one’s hard to see, but that’s “radioactive waste” spilling out. 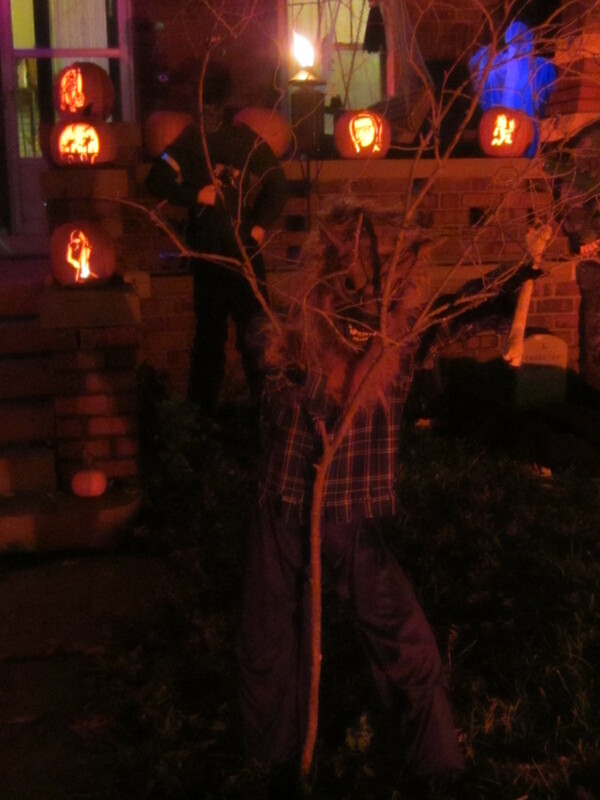 Werewolf in the little tree. 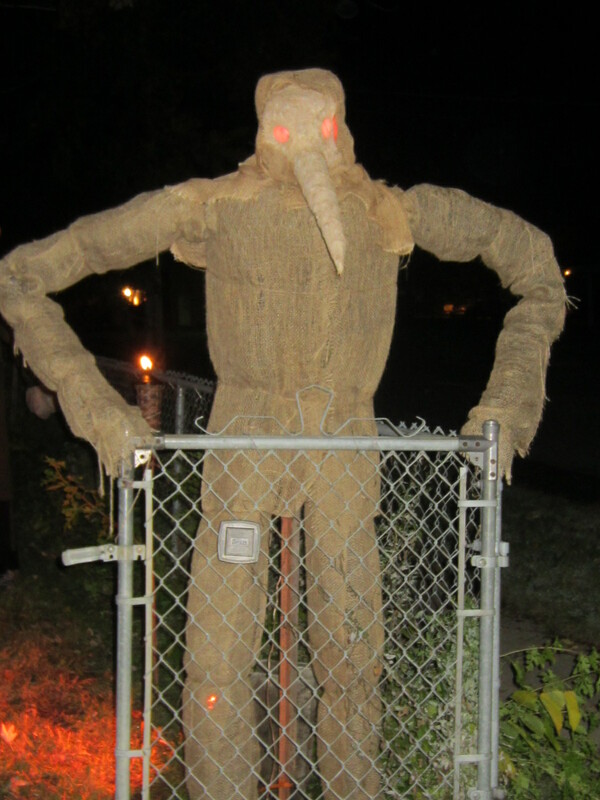 My son did some tree-trimming and used the branches as props and barriers behind the display, which worked well for keeping people in the right area of the yard. 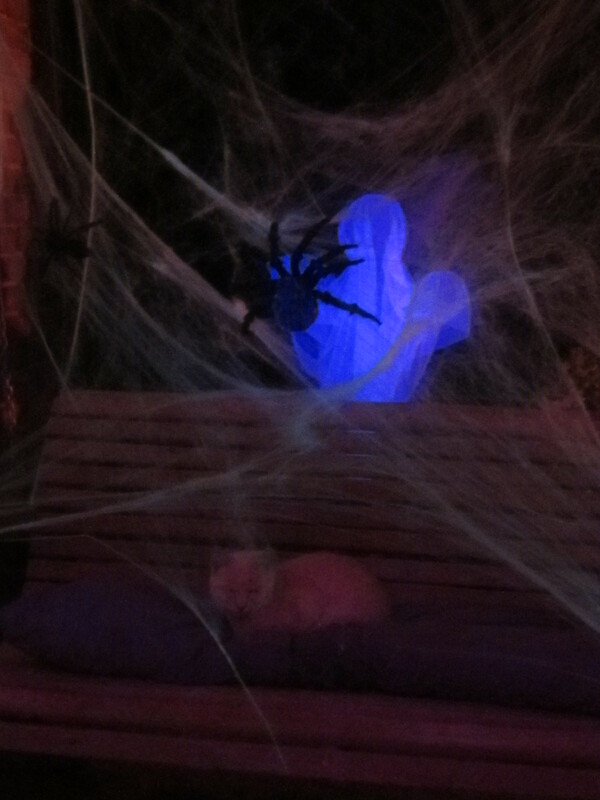 Orange kitty ignored the spider and ghost.